How Do All-on-4 Implants Differ from Dentures? How Do All-on-4 Implants Compare to Conventional Implants? All-on-4 implants can replace your entire set of teeth with only four implants per arch, while traditional implants can require up to eight implants per arch. And since All-on-4 implants are embedded at an angle, they are more stable and secure in the jaw. Plus, All-on-4 implants do not demand the bone grafting typically needed with conventional implants. All of these advantages will save you time, pain, and money, so it’s easy to see how much more affordable All-on-4 dental implants can be. Do All-on-4 Implants Require Any Additional Fees? 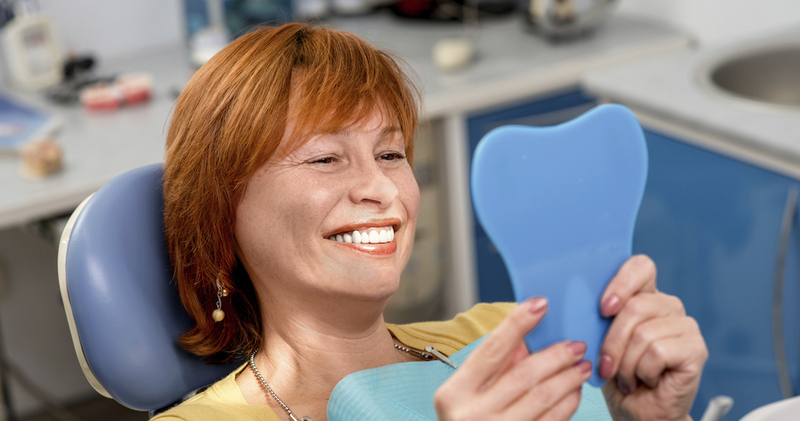 As with all dental care, your total cost will depend on your needs and the geographic location of your dentist. But because the treatment only requires one surgery and fewer implants, the treatment ultimately costs less than other replacement options. As a result, you will be pleasantly surprised by how affordable All-on-4 dental implants are overall. Do All-on-4 Implants Require Special Care or Cleaning? Dental implants simply need the same care and cleaning as your natural teeth. This includes daily brushing and flossing, along with regular dental check-ups and cleanings.